Tubemate Youtube Downloader pro is the ad free version of tubemate app. In the pro version it is totally ads free. So no boring ads anymore! Download Tubemate pro AdFree version for your Android device now and keep enjoying without any ads. 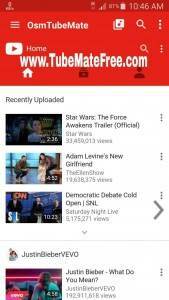 Tubemate YouTube Downloader is the most popular Android app which help you to download youtube videos easily. Without any registration or fee you can download all the videos that you want! 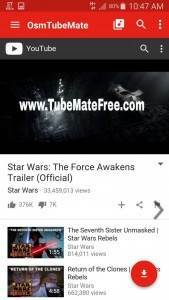 Download TubeMate 2.2.6.645 apk AdFree Mod Material Design For free now! No boring or forced ads. Tubemate pro doesn’t show any forced boring ads on the footer area of the app. So you can browse the videos without having any problems. Download upto 4K videos. You can download video with different resolution according to your needs and device capacity. You can download 360p, 480p, HD, Full HD and 4K. Download different formats with the new TubeMate Youtube Downloader. You can download videos with different formats that you want. Videos can be downloaded in Mp4, FLV and audio formats. Youtube to MP3 or audio file support. If you want to download only the audio. This feature is for you. Download the video as Mp3, Aac file. Default rate is 128 KBPS. Download resume support. If the download interrupt or you lost the Internet connection you don’t need to worry about download failure. Tubemate will download the remain file for you when you again have the Internet connection. I was looking for the tubemate pro youtube downloader for Android. It’s ok. I hope the app will help you. Is that the AdFree version of tubemate? 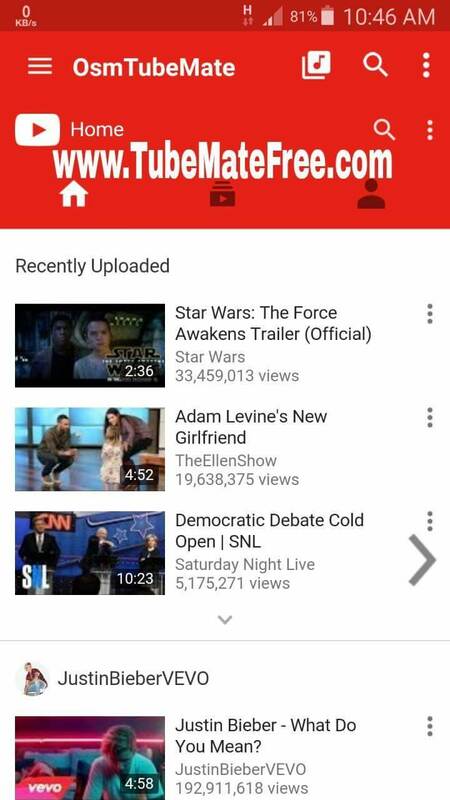 Yes there is no forced ads on tubemate pro and this is material design version. I am a ragular user of tubemate. I am a 2g smartphone user. Tubemate previous version 2.2.5 was a great app. But recently it is not working well, many video is not playing.. but that new 2.2.6 is good but its not have 3gp format so i can’t play video online in my phone.so plz.. update that new version with 3gp format. So i can play in my phone. Thanks for your comment. Nowadays most of the user have a 3G smartphone. The smartphone is now more powerful to play videos with different formats. So, I recommend you to upgrade your phone. Just buy a 3G smartphone. Tuhin is right. i have an LTE phone yet i miss 3gp options. sometimes it is not just abt the quality, but data plan limit or screen size too. 3gp allowed quite fair sound and video compared to size. even new tubemate with adds offers back 3gp options. please cant you just put it back? I am using version 2.2.8 . when we open this app some add pops up and immediately it is getting crashed . The process is very troublesome .We have to restart the tubemate app again and again..It needs your immediate attention. Great app man! 100% satisfied. I’ve been using Tubemate for 3 years and downloading videos from youtube. It’s a shame play store don’t allow TubeMate app in their store.